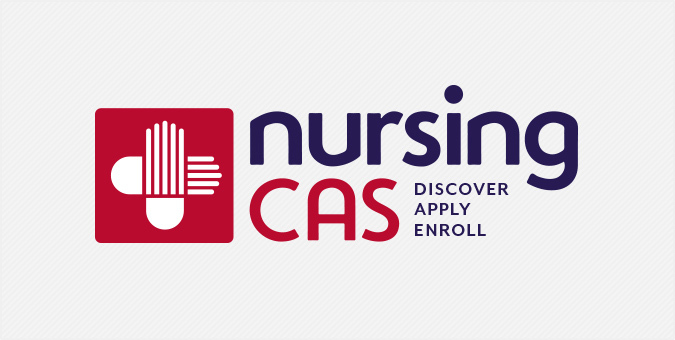 Operated by the American Association of Colleges of Nursing (AACN), NursingCAS is a centralized application system that helps maximize capacity in schools of nursing and fill all available seats. It is the nation’s leading provider of centralized application services to health professions associations. With a dated logotype and disjointed website presence, our challenge was threefold: to develop a strong visual identity that reflects AACN’s forward-thinking approach to nursing school admissions, translate the brand into a seamless web presence, and increase engagement and conversion across all user groups. Previously, member institutions and nursing school applicants shuffled through two disparate websites to engage the NursingCAS system. Now, with over 250 schools enrolled and more than 40,000 applications each year, NursingCAS has become a powerful resource for schools and nursing applicants alike.